MIAMI—There’s some talk of fall off in the Latin American investment community. There’s also talk of Chinese investors entering Miami’s market in greater numbers. Despite the rising dollar, there’s still a strong flow of foreign money is entering the American real estate market every day, and especially gateway cities like Miami and New York. But will Chinese investors overtake our Latin American friends? 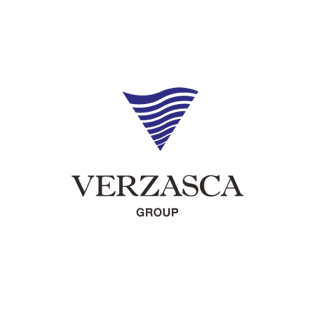 GobeSt.com caught up with Tim Lobanov, managing director of Verasca Group, to get his thoughts on the foreign investment coming into the market. You may also want to check out my recent article: Why Scrutinize Foreign Buyers? GlobeSt.com: As a developer, what is the percentage of foreign buyers in Miami and where do we see the biggest concentration of those foreign buyers? Lobanov: Sales statistics for both pre-construction and resale markets in Miami has consistently shown over the years that foreign buyers and investors dominate all lists of purchasers, predominantly from Latin America, who buy in all areas of Miami-Dade County. They lead the pack accounting to more than 60% of all purchases in pre-construction segment. Brickell, Edgewater, Miami Beach and Sunny Isles Beach, are some of the few areas with largest concentration of these buyers. GlobeSt.com: How are their wants/needs in real estate different than local buyers? Lobanov: Latin American buyers that purchase real estate in Miami have historically shown interest for bigger apartments, two- and three-bedrooms, dens in units that can be converted to additional bedrooms because of the fact that they typically have larger families. Local buyers tend to concentrate on amenities, local infrastructure in the area they are buying real estate in, proximity to shops, schools and recreational activities of their interest. GlobeSt.com: Where are these foreign buyers mainly from? Lobanov: Eighty percent of foreign buyers are from Latin America. Brazil is leading the pack, following Colombia, Argentina, Mexico and Venezuela. Even though Chinese buyers account for only a few percent of foreign buyers, they are becoming very active in areas like Brickell and Edgewater.